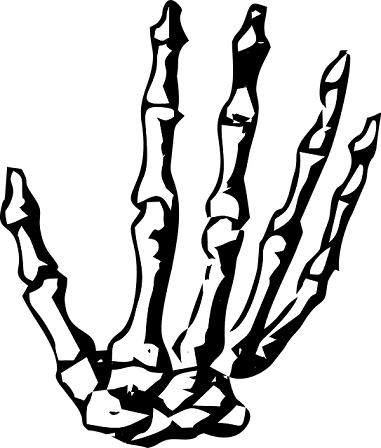 Despite the fact that they are very hard, bones in our body are living tissue. They’re strong and serve multiple functions. They support and protect the various organs of the body, produce blood cells, store minerals, provide structure and support for the body, and enable mobility. Bones come in a variety of shapes and sizes, possessing a complex internal and external structure. The question that may come to mind is: What makes up a bone that makes it suitable to carry out these many functions? Well, in this article, we will be telling you exactly that, explaining the components of bones, and some disorders that could affect these very hard structures. Bones are made of a hard dense connective tissue. This tissue is mineralized and of two types, cortical bone, and cancellous bone. Other types of tissue found in bones include bone marrow, nerves, blood vessels and cartilage. Bones are not uniformly solid, but they also include a tough matrix. This matrix makes up about 30% of the bone and the other 70% is of salts that give strength to it. The matrix is made up of 90-95% collagen fibers and the remaining is made up of ground substance which mainly consists of water, glycosaminoglycans, and glycoproteins. Its primary tissue – bone tissue, is relatively hard and lightweight. Its matrix is mostly made up of a composite material incorporating the inorganic mineral calcium phosphate, and collagen, an elastic protein which improves fracture resistance. The collagen of bone is known as ossein. In the human body at birth, there are over 270 bones, but many of these bones fuse together during development, leaving a total of 206 separate bones in an adult. The largest bone in the body is the femur or thigh-bone, and the smallest is the stapes in the middle ear. The hard outer layer of bones is composed of cortical bone also called compact bone being much denser than cancellous bone. It forms the hard exterior (cortex) of bones. The cortical bone gives bone its smooth, white, and solid appearance, and accounts for 80% of the total bone mass of an adult human skeleton. It facilitates bone’s main functions: to support the whole body, protect organs, provide levers for movement, and store and release chemical elements, mainly calcium. This is also known as trabecular or spongy bone tissue is the internal tissue of the skeletal bone and is an open cell porous network. Cancellous bone has a higher surface-area-to-volume ratio than cortical bone because it is less dense. This makes it softer and weaker, but more flexible. The greater surface area also makes it suitable for metabolic activities such as the exchange of calcium ions. Cancellous bone is typically found at the ends of long bones, near to joints and within the interior of vertebrae. Cancellous bone is highly vascular and frequently contains red bone marrow where hematopoiesis, the production of blood cells, occurs. Bone marrow, also known as myeloid tissue, can be found in almost any bone that holds cancellous tissue. It serves as the site where blood cells are made. 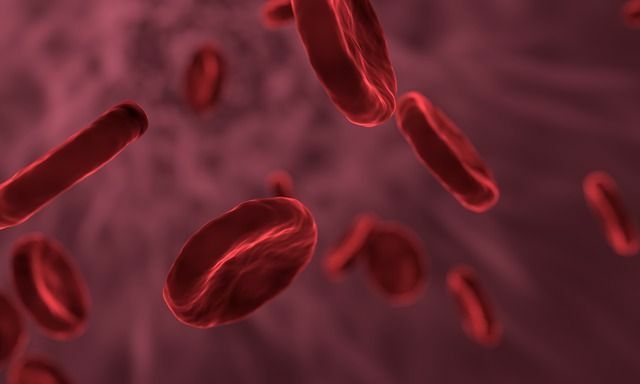 In newborns, all such bones are filled exclusively with red marrow or hematopoietic marrow, but as the child ages, the hematopoietic fraction decreases in quantity and the fatty yellow fraction called marrow adipose tissue (MAT) increases in quantity. 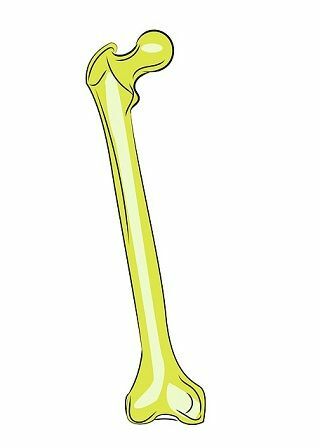 Bone is a metabolically active tissue composed of several types of cells. These cells include osteoblasts, which are involved in the creation and mineralization of bone tissue, osteocytes, and osteoclasts, which are involved in the reabsorption of bone tissue. Long bones, especially the femur (thigh bone) and tibia (shinbone), are subjected to most of the load during daily activities and they are crucial for skeletal mobility. They grow primarily by elongation of the diaphysis, with an epiphysis at each end of the growing bone. The long bones include the femur, tibia, and fibula of the legs; the humeri, radii, and ulnae of the arms; metacarpals and metatarsals of the hands and feet, the phalanges of the fingers and toes, and the clavicles or collar bones. The long bones of the human leg comprise nearly half of the adult height. Short bones are those bones that are as wide as they are long. Their primary function is to provide support and stability with little to no movement. Examples of these bones include the tarsals in the foot and the carpals in the hand. Flat bones are bones whose principal function is either extensive protection or the provision of broad surfaces for muscular attachment. These bones are expanded into broad, flat plates, as in the cranium (skull), the ilium (pelvis), sternum and the rib cage. The flat bones are the occipital, parietal, frontal, nasal, lacrimal, vomer, hip bone (coxal bone), sternum, ribs, and scapula. In the cranial bones, the layers of compact tissue are familiarly known as the tables of the skull; the outer one is thick and tough; the inner is thin, dense, and brittle, and hence is termed the vitreous (glass-like) table. A sesamoid bone is a bone which is embedded in a muscle or tendon. It is derived from the Latin word ‘sesamum’ which means sesame seeds due to the small size of the bone. The kneecap is the largest sesamoid bone in the body. Protection: At numerous places inside the body, bones serve to protect important and delicate organs. For example, the brain is protected by the skull and heart is protected by the rib cage. 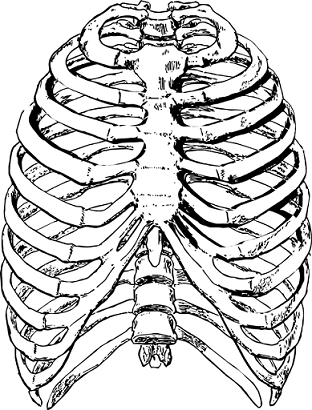 Shape: Because of their rigid nature, bones provide a framework around which the body is built. So bones are responsible for the shape and form of human body. 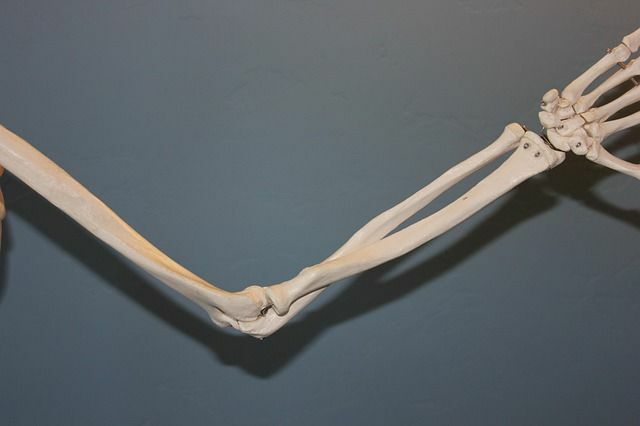 Movement: Muscles are attached to bones, which are joined. When the muscles contract the bones move. Hearing: The ossicles are three small bones in the middle ear which are involved in sound transduction. Synthesis of blood cells: The cancellous part of bones contain bone marrow. Bone marrow produces blood cells in a process called hematopoiesis. 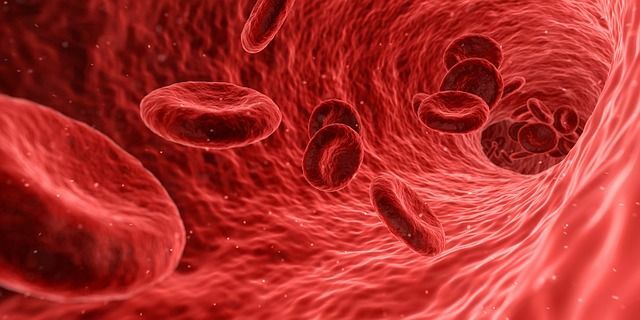 Blood cells that are created in bone marrow include red blood cells, platelets, and white blood cells. Mineral storage: Bones serve as an important storehouse of minerals such as calcium and phosphorus. Fat storage: The yellow bone marrow known as marrow adipose tissue acts as a storage of fat. Acid-base balance: Bone buffers the blood against excessive pH changes by absorbing or releasing alkaline salts. Detoxification: Bone tissues also store heavy metals and other foreign particles, removing them from the blood and reduces their effect on other tissues. These particles are gradually released for excretion. Endocrine Organ: Bones release fibroblast growth factor which controls phosphate metabolism. Fat deposition and blood sugar levels are also controlled by the bones through the release of osteocalcin hormone, which is known to increase insulin production and help reduce excessive fat storage. Bone fracture: Bone fracture is a condition in which there is a partial or complete break in the continuity of the bone. In most severe cases, the bone may be broken into several pieces. 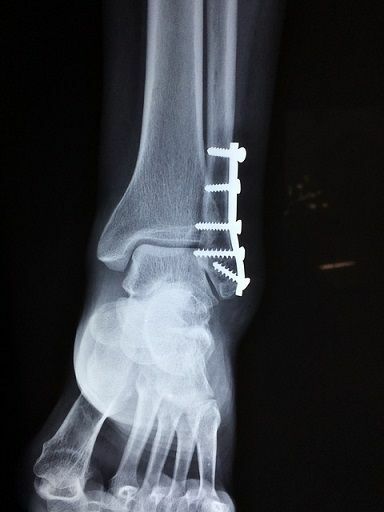 A bone fracture may be the result of high force impact, stress or a minimal trauma injury as a result of certain medical conditions which weakens the bones. Osteoporosis: Osteoporosis is a condition characterized by a decrease in the density of bone, decreasing its strength and resulting in fragile bones. Osteoporosis leads to abnormal porous bones that are compressible, like a sponge. This disorder of the skeleton weakens the bone and results in frequent fractures (breaks) in the bones. This disorder is common in postmenopausal women over age 50. Osteogenesis imperfecta: Osteogenesis imperfecta is also called brittle bone disease, a rare hereditary disease of connective tissue characterized by brittle bones that fracture easily. It arises from a genetic defect that causes abnormal or reduced production of the protein collagen, a major component of connective tissue. Paget disease of bone: Paget disease of bone, also called osteitis deformans, is a chronic disease of middle age, which is characterized by excessive breakdown and formation of bone tissue. It is a localized disease that may be unifocal, affecting a single bone, or multifocal, affecting many bones or nearly the entire skeleton. The disease is named for the English surgeon and pathologist Sir James Paget, who first described it. Rickets: Rickets, a disease of infancy and childhood characterized by softening of the bones, leading to abnormal bone growth and caused by a lack of vitamin D in the body. When the disorder occurs in adults, it is known as osteomalacia. Osteomyelitis: Osteomyelitis is an infection of bone tissue. 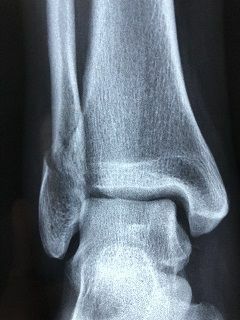 This condition is most commonly caused by the infectious organism Staphylococcus aureus (Bacteria), which reaches the bone via the bloodstream or by extension from a local injury; inflammation follows with the destruction of the cancellous (porous) bone and marrow, loss of blood supply, and bone death. Bone Cancer: Bone cancer is a malignant tumor that arises from the cells that make up the bones of the body. Different types of bone tissue give rise to different types of primary bone cancer. Osteosarcoma develops from cells that form the bone, and Ewing tumor of the bone (Ewing sarcoma) develops from immature nerve tissue within the bone. What Are The Largest and Smallest Cells in The Human Body?